Domestic Violence Support Group, Sexual Assault Support Group, Parenting Support Group, a Legal Support Group and a Children’s Activity Group. Breaking the Cycle: Parenting After Abuse is a "two-session" alternating support group with each group available at Sheridan First Congregational Church and our Safe Home in Ionia, in order to accommodate both Ionia and Montcalm counties. This is a community support group for parents who are sexual assault victims and for parents whose children have been sexually assaulted. This group will focus on the family dynamics of sexual assault and navigating through shame and shifting blame. Shattering the Silence is a weekly open/drop-in group held at our Montcalm Area Career Center. 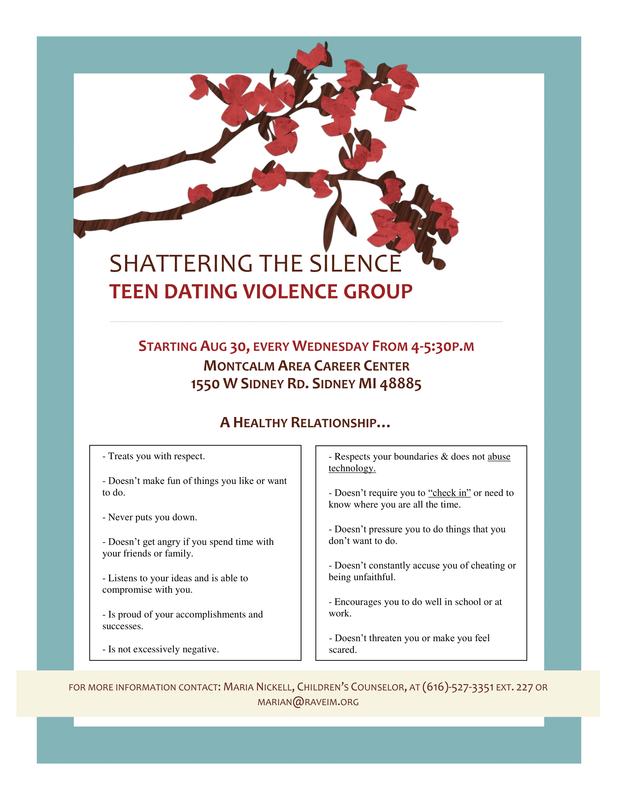 This Teen Dating Violence Support Group starts August 30th and will run weekly on Wednesday's from 4-5:30pm. This is an open/drop-in group held in the support group room at our shelter. 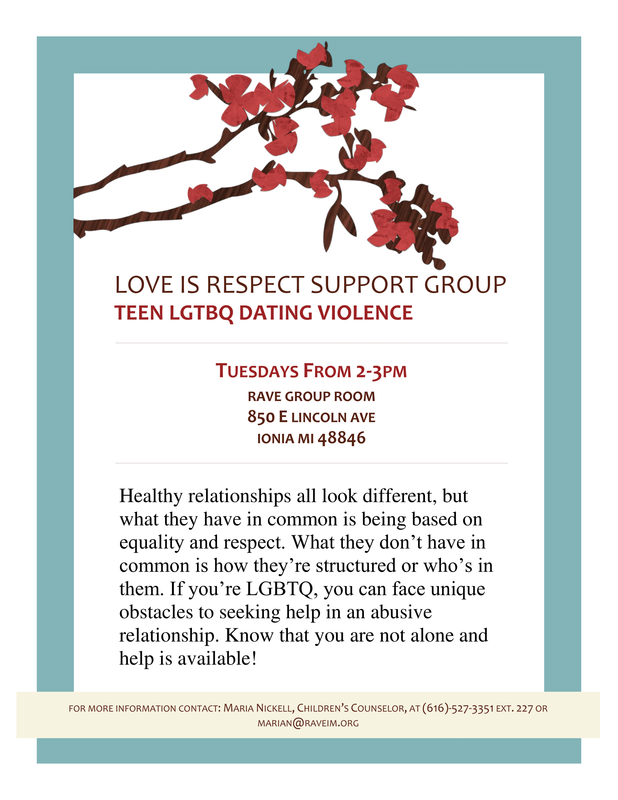 Love is Respect is a Teen LGTBQ Dating Violence Support Group held weekly on Tuesday's from 2-3pm. Healthy relationships all look different, but what they have in common is being based on equality and respect. If you’re LGBTQ, you can face unique obstacles to seeking help in an abusive relationship. Know that you are not alone and help is available in this support group! This open/drop-in group provides a safe place for those who have experienced domestic violence to process their feelings and learn about healthy relationships. Some of the topics covered in group will include what a healthy relationship looks like, safety planning, setting boundaries, and warning signs of an abusive relationship. This is an open/drop-in community support group for domestic violence survivors. Topics covered in this group will include, self-esteem, victim rights, gender stereotyping, boundaries, assertiveness, the impact of trauma and coping skills.